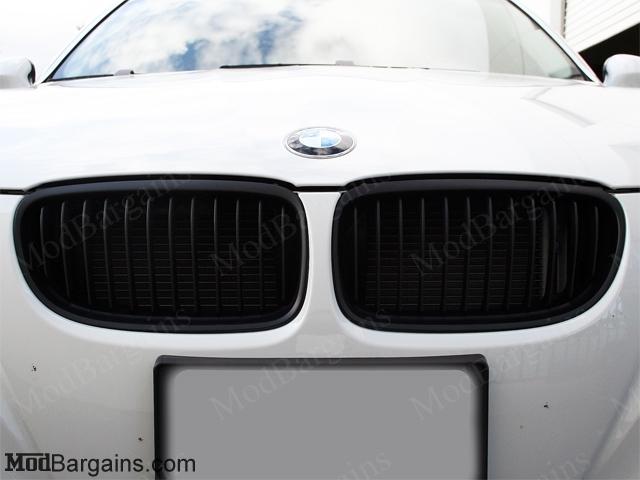 Do not be fooled for CHEAP competitors imitations. 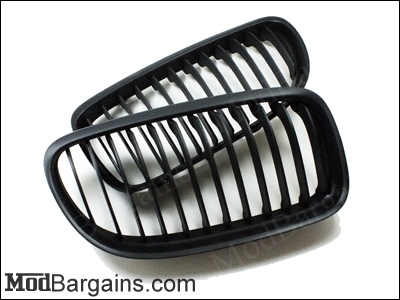 Our matte black kidney grilles for the E90 3 series are the perfect addition to your BMW. 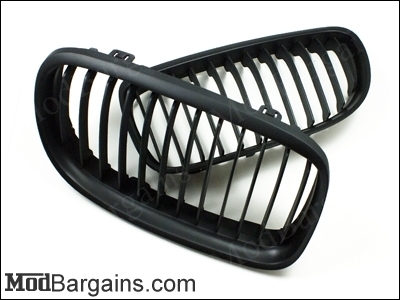 Our grilles especially compliment your vehicle if you have the black window trim, tinted windows or tail lights, or ANY other carbon fiber accents on your vehicle. 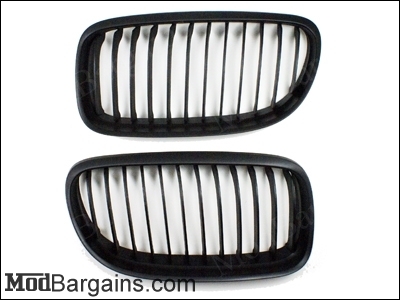 These grills will give your car a sleek, yet aggressive addition and are a GREAT addition to your "black-out" theme on your car. 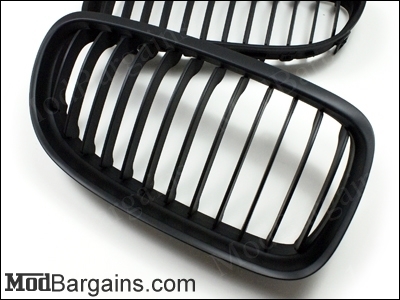 They also add a beautiful contrast to your car's paint color and are a huge improvement over the OE chrome grills. Look great, fitment was perfect. Nothing more to ask.